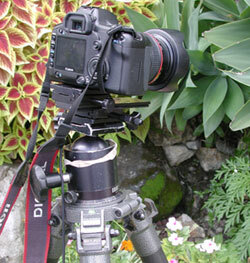 Nicholas Hellmuth reviews lightweight Gitzo carbon fiber Mountaineer tripods for digital cameras. Gitzo carbon fiber tripods, the “Mountaineer” carbon fiber series. We have a Gitzo G1127 MK2 carbon fiber tripod and a large Gitzo 1548GT carbon fiber tripod. I also have two huge heavy-metal Gitzo tripods from over twenty years ago. They can hold an 8x10 camera at up to almost 14-feet off the ground. And yes, I often need this height. 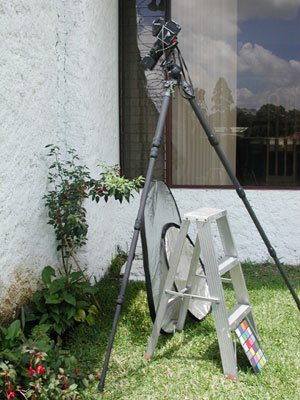 FLAAR maintains tripods at its research station in Guatemala and at its university home in Ohio. We have several Gitzo tripods at each location. We have been using Gitzo tripods for several decades. Quite frankly, most Chinese or Taiwan tripods just can’t reproduce the quality and feel of a Gitzo original (Gitzo is a French company, now part of the same group of companies as Bogen Imaging). Compare prices and frankly I prefer the European made tripod over a cheap Chinese knockoff. I don’t want a cheap tripod to hold a Canon EOS 5D or a Hasselblad with a $25,000 31-megapixel digital back. And I certainly don’t want a flimsy off-brand tripod to hold a large format BetterLight digital camera. Here is the Gitzo G1548GT carbon fiber tripod. Normally we use a Gitzo off-center ball head but to use the focusing rail we use an Arca-Swiss system. Usually we use the Phase One medium format back on this tripod, but the Hasselblad ELX motor broke (after over 27 years....) so we were reduced to working with a Canon EOS 5D instead. Usually we use a Gitzo G1127 for our smaller cameras (such as the Canon here), however the advantage of the G1548GT is its height. Often we bring along a ladder to reach to the top. 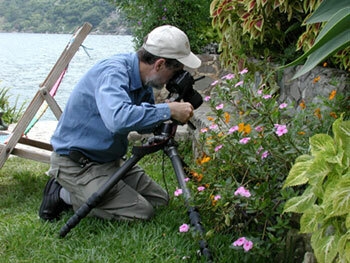 Yet the same tall tripod allows us to photograph flowers close to the ground, as you can see here (on the shores of Lake Atitlan, Guatemala). Here is a list of the carbon fiber tripods that Gitzo offers. 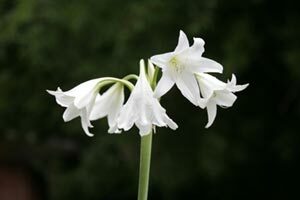 You can see these at Photokina trade show in Germany every two years, or at PhotoPlus or PMA every year. 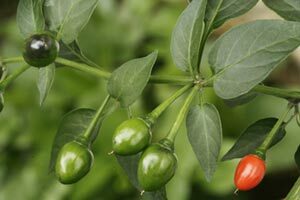 Our you can go to the BogenImaging.com web site any day of the year. G0057, carbon fiber Ultra compact tripod. G1325 Mk2 Mountaineer Inter-Pro Studex Tripod with flat plate. A flat plate has the advantage that you don’t have a center post that can introduce wobble. There are several other variations of the G1325 series G1548 Mk2 Mountaineer Tele-Studex tripod with flat plate. G1548GT, Mk2 Mountaineer Tele-Studex Giant Carbon Fiber tripod, also with a flat plate. I could not do without this. It’s six-sections give me the height I need (91.3 inches). The legs are flexible so I can put it into awkward positions when I am out on location. I use the heavy metal full-weight Gitzo tripod for my 4x5 Cambo Ultima with a BetterLight Super 6K-HS digital back. 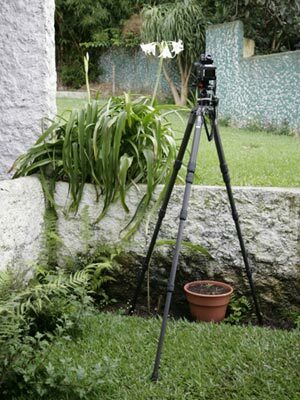 You want a heavy tripod for a 4x5 camera. This is not a situation for a carbon fiber tripod (unless you are in a studio, and even then, I prefer a really heavy solid tripod for holding any large format camera, especially one with a digital back. For a medium format camera such as a Phase One P 30 I use the G1548GT, Mk2 Mountaineer Tele-Studex Giant Carbon Fiber tripod. For a point-and-shoot digital camera I would recommend the Gitzo G1127 MK2 carbon fiber tripod. Wooden tripods are great, we use them. Wooden tripods have beneficial features. But compare a wooden tripod to a new carbon fiber tripod, and the carbon fiber are more practical, and frankly a Gitzo tripod holds up better (its parts don’t come unscrewed as easy as on wooden tripods). First posted August 9, 2006.